An epic adventure—that’s all Bryce wants this summer. So when he stumbles upon a treasure map connected to an old family secret, Bryce is determined to follow the map, even if it means risking his life and lying to his grandpa while they're on their wilderness backpacking trip. 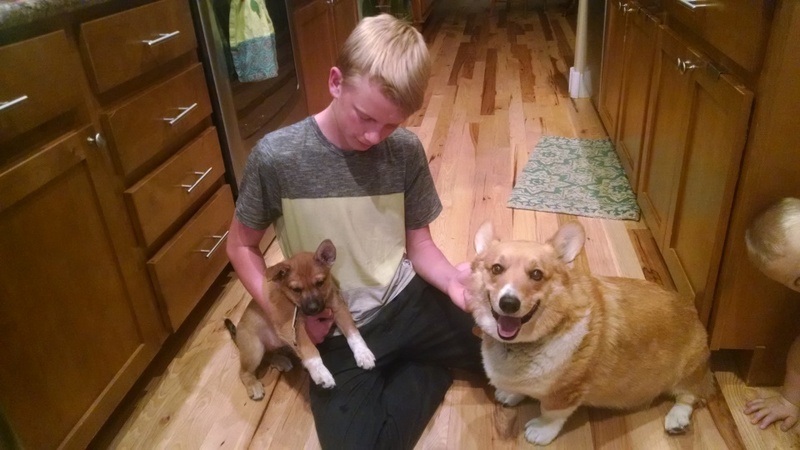 Bryce must work together with his difficult big brother, Jack, or they...and the treasure...may never see the light of day again. What was the one craft resource book that helped you most during your apprenticeship? Why? How would you book-talk it to another beginning writer in need of help? 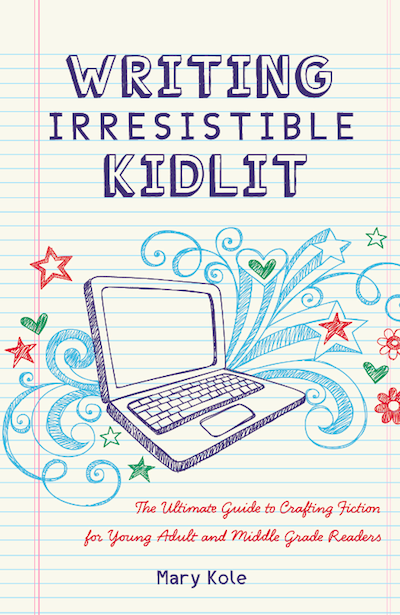 One of my very favorite craft resource books is Writing Irresistible Kidlit by Mary Kole (Writer’s Digest Books, 2012). I took it everywhere with me for a few months and read through it twice as I was writing Treasure at Lure Lake. One thing I struggled with in my book was giving the brothers, fourteen-year-old Jack and twelve-year-old Bryce, the right level of interiority, as Mary Kole calls it, which is access to the character’s thoughts and feelings about what is going on. 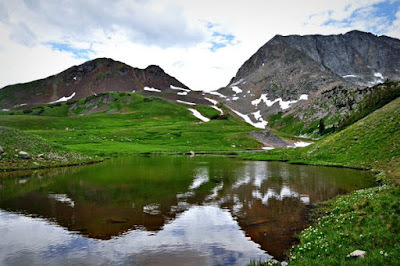 I wrote Lure Lake from the perspective of two boys, and if you’ve ever spent a lot of time around teenage boys, they aren’t always the first to share their emotions and deep thoughts. Of course, there are some that do—I do have four boys myself—but it was definitely a challenge for me to get into each of the boys’ heads and get their internal voices just right in my story. Mary Kole’s book teaches about the importance of interiority. Another lesson I learned the hard way (through many revisions and trial and error) was how to make the reader care about Jack and Bryce at the beginning of the book. If the reader doesn’t care about their journeys very early in the story, then what would be the point of reading it? On p. 90 Kole writes, “…introduce not only a great character but a character with Objectives and Motivations. Then imbue the character’s life with enough conflict, both internal and external, to really get the story engine humming.” And, of course, there has to be interiority if we are to know the character’s goal, objectives and motivations. 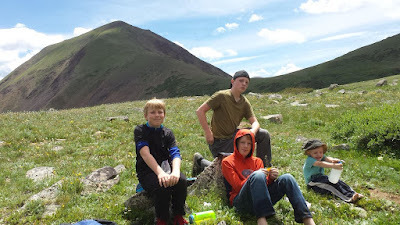 I also listened carefully to my own boys and their friends. I listened to anything that would point to their hopes, dreams, goals and motivations. It is still a constant learning process to perfect these story elements that make or break a good book. Another element is creating a complex, layered character. One who seems real. There are books I’ve read where I was certain that the story was biographical, in large part because the main character was so invested in the plot. Mary Kole not only stresses interiority, objectives/motivations to create a real character, but she also helps writers by taking them through creating a character with a complex core identity full of strengths, weaknesses, virtues, roles, emotions, responses, boundaries etc… She writes on p 109, “If you can create a strong character with a strong sense of core self, then thrust him through a plot that attacks those pillars of identity, and surprise the reader with some of his choices, you will have an amazingly layered protagonist on your hands.” And she doesn’t leave it just at protagonists. She advises the same for the antagonist. I highly recommend this book for all writers, those new to the craft and also those who are well-experienced. I can’t imagine that anyone has “arrived” when it comes to writing. I know I will be writing and revising and learning over and over again with each new book I write. 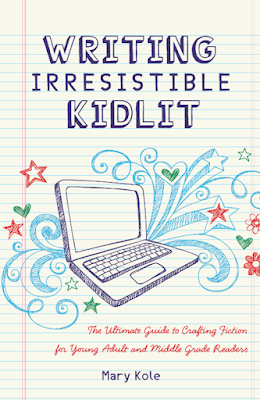 It’s a challenging but inspiring process, and I’m thankful for the inspiration found in books like Writing Irresistible Kidlit by Mary Kole. As a librarian-author, how do your two identities inform one another? What about being a librarian has been a blessing to your writing? Before I started writing seriously, I received my elementary teaching degree with an emphasis in literacy, and then I worked as an elementary school librarian. I had the privilege to study children’s literature in-depth for my teaching degree which carried over into being a librarian where I was able to share with children my love of reading. 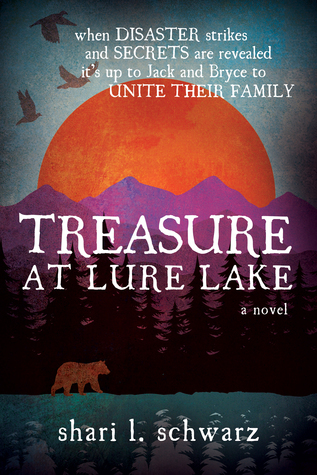 I didn’t begin writing Treasure at Lure Lake until a couple of years later. I think being a librarian allowed me to see and understand in general what kids love to read. There are those books and series that a lot of children gravitate towards, but they’re not for everyone. There are always at least a few outliers who don’t follow the trends and find their own niche in books they love. There is also a difference between books that adults want children to read and books that children themselves want to read. Yes, there is a bit of a crossover, but there are many books that children love that adults roll their eyes at or worse. As a librarian, my job was to connect readers with books. And the only way to do that is to find books they love based on their interests, reading level, prior books read and sometimes just a bit of luck. Part of connecting children to books meant that I needed to be up to date on new books coming out. How could I gush over a book to a student if I’d never read it? Reading so many children’s books also helped me in writing Lure Lake. There is such a wide variety of readers which is one of the reasons why there are so many different types of books out there. As a new author, it can strike fear in my heart to think that some people will not like my book. Some people may judge it harshly. Of course! No book is the perfect book for every reader out there. This has helped me realize that my book will not be for everyone which is a good reality check. But there are children who identify with parts of my story, whether it is the plot or the characters or the themes…and that is who I wrote my book for. Being a librarian allowed me to have numerous conversations with students who loved reading. They would tell me about why they loved the books they did, what they wanted to read next and how the book impacted them. I also was able to listen as students told me about what made a book hard for them to get through or why it was boring. And, best of all, I was able to work with those students who just hadn’t found a love for reading yet. They were the children who came back, week after week, still searching for a book that they might finally like. There isn’t anything more gratifying as a librarian than to finally find that one book that makes a reader’s eyes light up for the first time. Seeing a reluctant reader finally devour a book, especially if it’s part of a series, is an amazing process to watch and the greatest blessing of all in being a librarian. One of my own sons struggled with reading throughout elementary school. 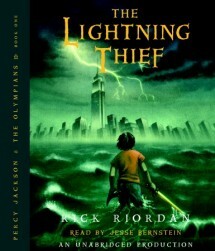 But when I placed The Lightning Thief by Rick Riordan (Hyperion, 2005) in his hands when he was in fifth grade, he was hooked for the first time and read straight through that series and into the next. Helping a child find the joy of reading is why I started writing Treasure at Lure Lake in the first place. I wanted to write a fun, exciting adventure that would be easy to read and would hopefully catch the imagination and hearts of reluctant readers that resonate with its story. Thanks for sharing your thoughts, and congratulations on your success!